I have watched Tom Campbell's youtube videos and have read his BIG TOE, but only book 1. I am also reading Journeys out of the Body by Robert Monroe at the moment and have a question about traveling. Can we travel to a vacation resort to experience peace and tranquility, for example? To project into the future you just have to get out of body and remember your goal. Once you are there place a strong and specific intent to witness the most probable future at a given point in time. You will only ever be able to see probable futures like a weather forecast - there is no viewing the "real" future. You can influence events, but first you have to be aware of what you are influencing. If your focus is unclear you may end up viewing and influencing some probable simulated reality that actually has no bearing on this time line. Vacation resort - sure - within your own personal perception anything you imagine is possible more or less. You may run into restrictions if what you want to attempt in the non physical breaks the "rules" of that particular reality or if what you are attempting would cause your mind to regress evolutionarily. I beg to differ on this one, I've seen many perfect matches of future events and they are very precise. Some appeared 30+ years later as at the time of the viewing the locations didn't exist. I have to disagree with this also (along with Szaxx). I have had non-lucid dreams that presented pre-cognitive material and then two months later the real life event shows up in my physical life. I mentioned this, because the level of lucidity or awareness is always lower in the non-lucid dream state (e.g., foggy). So, these experiences can happen without lucidity. Focus remains important from my experience. Also, I used the successive physical experience as a validation of the dream content in these cases (e.g., reducing false conclusions about these types of dreams). Validation is important to me. I also toss many experiences into the "unanswered box" (like Szaxx implies). To make this work (whether out of body or not), what I find most important in these circumstances is a conscious recognition and acknowledgment of the eventual "information download" ... which can be a verbal message, a story picture (like the experience I mention above), a particular sound in the dream, etc. This is where I need to remain open - not limiting the possibilities of how, where or when the requested download of future information is shared. Overall, my experience is if we go into these experiences with mentally, "physically-prescribed" limitations ... they will be limited! That is usually because the biological brain is being given too much credit. Hmm, I am not sure what you two are getting at when say that you in fact will not only be able to see probable futures. Having some, or many even, validated future precognition events is well and truly permitted under the umbrella of probable futures. They are still just probable futures that did actualise this time. For every successful precognition there are many that turn out to be wrong. A skilled, or perhaps an intuitive or lucky viewer, may witness a very probable future but that doesn't make it predetermined. If you witnessed a future event of yourself dying in a car accident that you intended on taking tomorrow - would you choose to die in order to make the vision true? My understanding is that the principle of free will in consciousness prevents truly deterministic predictions from being accessed. They are only ever probable while free will is involved. You are still in your head (e.g., biological brain). The spaciousness of the consciousness is where we have our experiences - NOT biological brain, theorizing possible futures, etc. I also shared how I validated my own experience, so your logic and criticisms about that make no sense (e.g., senseless). Realize that I have attempted to share with you here from my own conscious experience (for the benefit the person starting this thread). That was my intent. I am not theorizing possible future outcomes. I have lived it, and I am sharing from that personal experience. In stating this, I do not expect you to have the same experiences that I do. I am stepping back from our discussion, as you try to move this to a debate. I can see that you are not getting it. These are good questions. Yes, to ... remote viewing, seeing future events, etc. This is possible, and you do not have to go to the Monroe Institute to learn this stuff (although they are very good at what they do). Some of the practices you are asking about do require new skills, lots of preparation, a well-practiced technique, and/or sustained focus. Realize that Monroe was going out of body for 15 years before he even started to formally train others at the Monroe Institute. However, the same energy that guided Monroe in his travels wants to guide you too (and everyone else here). I like what Lumaza said to you. He is very good. Yes, you can visit your "Happy Place". I rather enjoy that method. It starts with a focus on your "imaginary" target, example, a Island beach setting. But soon you see that things will start occurring outside of your "intended" script and that's where the adventure begins. To do this, you need to be able to hold a strong focus on that area for a extended amount of time. You create the visual (imagine where you want to be), then hone in on it like a heat seeking missile or "Pit Bull' and don't let go until you wish to end the session. It is hard to do in the beginning. Just holding a mental focus for a mere couple of seconds can be difficult at first. But you get better with practice. ...and yes, you can receive "precognitive" info/material in these states as well. Sometimes it is received "out of the blue", with no intent on your part. Other times, you can use your intent to possibly take a glance "ahead". Write down your experiences. You will find that somewhere down the line this reality and the "others" begin to come into "sync", especially via the state of Dreaming. I am not doubting your experiences. I have experienced, lived, precognitive futures myself that have come true. Not sure why debating is a problem, but you don't have to participate, no worries. The message I am delivering here is that if you find yourself in something that seems like a future of this physical matter reality, or you deliberately try to a view a given future, do not cement belief in the fact that said future will actually arise. It may not. The consciousness system is capable of making predictive forecasts, but it doesn't know what future will be _for certain_ actualized. If it did, there would be nothing new to learn from us being here to live it. Yes, I already know this as your perspective. This is why I spoke up, and pointed to your physical perspective (e.g., biological). Realize that Consciousness has no time limitations. It is NOT physical. Consciousness (inner being or guidance) knows from my experience. It is not limited by time. It is the biological brain that is the mechanism which segments our human experience into delimited, time fragments. So, there is clairvoyance (a knowing of the future) as Szaxx pointed to. You're saying that your entire life has been laid out before you and everything you've done and everything you will ever do has already been determined. So then what's the point? It means there's no reason to be here as it's all already been calculated anyway. ... unless that's NOT what you're saying, then please feel free to correct me. My perspective is more along the lines of Thaomas'. It's just like tossing the dice... there are a myriad ways for the dice to come to rest and HOW they come to rest depends upon a myriad of factors all of which you have very little control over. I say "very little", because you do have some. But those dice aren't destined to fall upon any particular set of numbers. I think the people who are able to "guess" above 50% on what the dice will show aren't actually predicting the future... they're using their consciousness to affect the outcome of the dice roll. But yeah, in the end, we could debate this until the cows come home because we can't prove either. People have been discussing free will forever and haven't come to an agreement. I look around and I see a reality which enjoys using the least amount of energy to get something done. Using that notion alone, I don't buy into the "every choice which ever can happen, does happen" belief. No. That's not what I am saying. I can point to it this way. The human is a small part of who I am. When I have had conscious (even semi-conscious) experiences that transcend time, they always start with mind (consciousness) and often begin in a dream state. In these moments of perception, I am engaged with the broader part of myself (not the smaller part which is asleep). Because they come in dream form, I feel that they need to be confirmed. When I eventually experienced the predicted event in de-limited time, my physical mechanisms (biological brain) simply needed to confirm the experience. The mind is active also, but because I am awake I have found that I need to let the biological brain have its moment. I am pointing to a pre-cognitive or clairvoyant experience here. This is something that I have intermittently experienced. If you look at Sacolucci's original question here, you can see what I am responding to. She asked about several types of experiences which involve transcending time. I wanted to assure her that these things can happen, and that an analysis of all the possible futures is not needed for that. Beliefs. I do what I can to avoid beliefs. One way I do this is to share direct, confirmed experiences. I am not engaging in debate as much as I am attempting to bring an understanding. Free will arguments I don't really care about. It is a distraction because it often becomes theoretical. Xanth, you are a good moderator. You ask good questions. Thank you all for your responses. On knowing future events, it has been my experience that this is possible. When I was ten years old, I had a dream of my mother and I living in a house in the middle of a field of snow. I looked out the window, and what can be described as an angel or spirit guide whom I did not see but knew was present, telepathically advised me of my grandfather's death in the proceeding three days. This dream occurred on Sunday, and I was informed of his death on Wednesday. Other similar events after took place in my life through lucid dreaming. This was also spontaneous lucid dreaming and still happens to this day. I can resonate with it being difficult to get your target. Your mind takes you in other directions. I was looking at a "target" before bed which was a picture of a sacred temple in Thailand which I wished to visit. I set my intention on this objective but instead, had a dream I was a business coach speaking in a room full of business people. Not sure what my supermind was trying to show me or direct me. Robert Monroe also spoke about different locale states. Would you agree that we can focus on going into the future? A relative of mine was diagnosed with a 6.7cm mass. However, the biopsy is still awaiting testing. In this stage, Tom Campbell would argue that intent can change probability..is it possible to see the future or outcome? Recently, I have also expanded my clairvoyance. I have begun to obtain messages about objects belonging to people from outside of my body. In other words, I can read energy and I have been 95% accurate. There is an older group of remote viewers who still hang around the Monroe Institute. Skip Atwater (who oversaw the military's special unit of remote viewers back in the 80's and 90's) still helps out at TMI. He was the director of TMI for several years. I have noticed that many remote viewers are able to see future events. As far as TMI's focus levels and Monroe's locales, I would not get too caught up in focus levels and locales yet. You still need to learn some basic techniques for remote viewing or whatever method you decide to pursue. Realize that you are now generally getting an expanded physics lesson from Campbell and an introduction from Monroe. Have you considered just going to the Monroe Institute to learn? 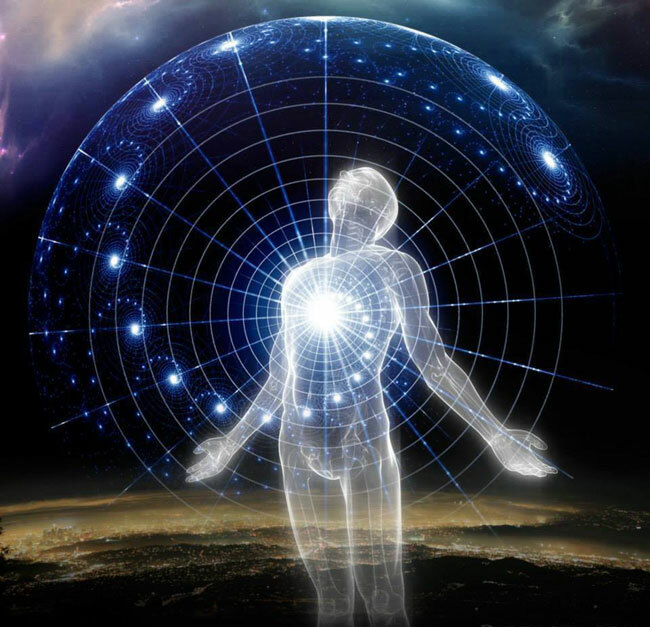 If you are not ready for TMI, I would search the archives here at Astral Pulse for your specific points of interest (e.g., out of body, remote viewing, visualization). If you are a consistent clairvoyant, you may be able to immediately learn the future about your relative. Intention is absolutely an important element in that process. However, first I would sit down and ask your guidance (inner being) for assistance with starting that process. Start there. It's easy - just ask and then hold the intention to listen for an answer.